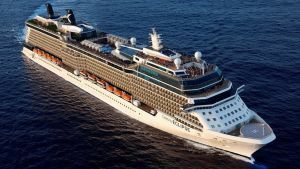 Celebrity Cruises is the premium division of Royal Caribbean Cruise Lines Ltd, which also owns Royal Caribbean International, a mass market provider, and Azamara Club Cruises, the name of the line describing the product, smaller ships to a discerning clientele. Dating from 1988, Celebrity has built up a reputation as a quality 5-star operator with larger ships than its direct competitors. Celebrity is new to Business Travel News and this report is an introduction to the ship Eclipse, and the cruise line. Editor-in-chief Malcolm Ginsberg was on board last week, and still is as he files this report on the way down the Hudson River for a 15:00 Sunday arrival in New York. “Our voyage started at Southampton, then it was across the pond to Boston, and now New York. It was a very smooth crossing, amazingly so considering it is November. A future edition of BTN will feature the ports of call, which later this week include a maiden visit for us to Bermuda (Kings Wharf) and the Bahamas (Nassau), completing the trip at Miami. It really is a cruise of two halves. First impressions count. Boarding could not have been easier – 45min from arrival at Southampton to sitting in the Oceanview Café taking lunch. There was a welcome glass of champagne upon stepping on board and plenty of senior personnel around to answer questions. Diagrams and models of the ship were everywhere. It was going to be easy to get around. A relaxed happy-holiday atmosphere abounded. While we as clients were addressed as Mr and Mrs (surname) or ‘sir’ and ‘madam’, the staff are entreated to speak to each other on first-name terms. All the crew, from captain to the newest recruit, eat in the common dining room. There is no distinction on rank or nationality. It makes for a very friendly ship. And no 'formal' evening. Celebrity does not encourage. People still dress up on certain nights. For the past seven years, Celebrity Eclipse has been Southampton-based for the summer season, to be replaced by sister ship Equinox for next year. Eclipse will be based at Dublin for a five-cruise programme, and then will be off to mainland Europe. In late 2018, Celebrity will also introduce "Edge", which might well prove to be an exciting breakthrough in cruise-ship design. The Celebrity creative team has clearly looked at the river-cruise ships and seen how they have cleverly added cabin space by using the balconies. More in a future cruise edition of BTN when we will reveal some of the remarkable innovations that Celebrity is working on. Celebrity Eclipse (completed June 2010) is the third in the Solstice Class, all built by Meyer Werft near Hamburg. She comes in at 121,000 tonnes, a little over 1,000ft long, and can carry 2,700 passengers and 1,250 crew. The Solstice Class was considered something of a game-changer when introduced. OK, some of it was gimmicky – including a glass-blowing studio, real grass on a lawn around the funnels and some outstanding but quirky artwork. There is a restaurant called Qsine (read out loud) offering a menu on an iPad with buttons to view 20 national selections. Each dish/course is beautifully served, again in a rather idiosyncratic style. Eat as much as you like. The Atrium, which stretches, from deck 3 to 15, can be viewed from two banks of glass-fronted elevators and is dominated by a suspended living tree. Look into the library and various lounges as you pass by. The lower decks are called The Grand Foyer and beside the essential reception and tour offices are also a lounge area and entertainment location. In simple terms, Eclipse is a resort ship with 14 active decks, the lower four more or less devoted to guest services including the main restaurants, casino (which is easy to bypass), various lounges and speciality dining venues. No special navigational skills are required to get around. Up top is the large Oceanview Café, which stretches to an open area over the stern, and three swimming pools, one, called the Solarium, with glass walls and roof and permanently indoors with passengers aged under 16 barred. 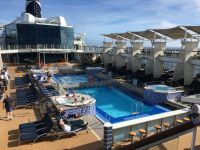 It is perhaps the nicest swimming pool/lounge experienced at sea and includes the AquaSpa Café for breakfast and lunchtime healthy eating. Eclipse was refurbished in May 2015 and a number of new features introduced. These included a cocktail bar called World Class, a craft beer drinking establishment named Gastrobar, and a dedicated restaurant, Luminae, for passengers travelling in suites. The ship now also has a sushi bar, added last year and replacing the Bistro. With the Solstice ships, Celebrity introduced AquaClass, offering the standard staterooms with a few extras, accommodation high up in the ship towards the bow and easy access to the Canyon Ranch spa area and its facilities, plus the exclusive Blu restaurant with a dedicated galley and menu. It has been a big success, is the first to sell out and makes money for Celebrity without a lot of effort. We travelled in Aqua and found it ideal. There are cooked breakfasts in cabin at no additional cost, while extras include afternoon canapés, courtesy shoe shinning and concierge service. We could escape to the nearby over-the-bow Relaxation Room and use the Persian Garden with its steam room and heated seats. The vast majority of cabins on Eclipse are the same size, 194sq ft, about average for this class of ship, with a larger-than-usual 54sq ft balcony. The cabins are nicely fitted out with some neat touches including a night-light in the large wash room and a bar at ankle level in the shower for ladies to use when dealing with their legs. The staterooms are well thought out space-wise and many convert to accommodate two children. What is not so good is the wardrobe layout. Yes, there are easy-to-get-to cabinets above the bed, but for a two-week cruise you do need plenty of drawer space, which the cabin lacks. A couple of bedside cabinets could be easily added. Also on the negative side, there are no self-service laundries and let us hope that with Edge the shower room toilet suites have soft close seats. And a line to hang articles that need drying. And while on the downside, we found the cost of drinks excessive and likewise the charges for the speciality restaurants. There was no bother finding space on deck to sunbathe (yes, sunbathing on the North Atlantic in November). The self-service Oceanview Café had plenty of nourishment stations with great variety, but discovering a table pair was sometimes a problem. We did not try eating on the open deck until nearing Boston, when the Mast Grill attracted us. Wheelchair passengers are very well served with a hoist to help access at the indoor swimming pool. The pool butlers are trained in its use. Throughout the ship, all the doors are electrically powered, including those for the restrooms. The extra-wide disabled stateroom doors have button opening controlled by a slot for a key card. A plus mark for Celebrity, which also equips the cabin stewards with specially designed trolleys rather than a cleaning cart. It is a nice touch. Up to 500 children are sometimes accommodated on short summer cruises. This time around it was just 23, looked after by five staff. On the Solstice class ships, the children’s area is on deck 15, high up over the bow and with its own basketball court. A full programme is organised, but parents must look after their offspring at meals, except in port, when the ship offers a chargeable service at eating times. If the children you are taking with you are not yours or do not have your surname on their passports, check with the cruise operator well before your holiday. This is the same for all cruise companies. Do not find yourself embarrassed at the embarkation port. Crossing the Atlantic, also known as repositioning cruises, once were a selling problem for ship operators. Not any longer, with Cunard operating a full summer programme with QM2. Eclipse was full, the passenger breakdown being 1,150 from the UK, just over 1,000 from North America, 170 Germans and the rest from all over the place. For the most part, those from across the pond were joining after a holiday in Europe, while the Brits were either off for a winter sojourn in Florida or just enjoying a sea cruise. Celebrity has got the crossing down to a fine art, with a busy schedule available from sunrise to well past midnight. The daily programme lists nearly 100 activities. With six days at sea, we were treated to parallel morning lectures on the history of Broadway, guest lecturer Steve Friedman, with a fine tenor singing many of the songs from the shows he was talking about. Matching him, Harry Murphy went through the history of Hollywood including "Never marry an actor" and "Macho men". 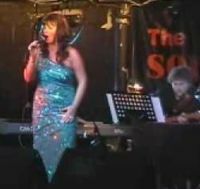 Come the early evening, the ship comes alive with music to suit all tastes. The entertainment on the crossing was outstanding, led by British performer Jayne Curry and as good as any experienced at sea. She runs off the stage and sings amid the audience, chasing up into the balcony at breakneck speed. One evening there was a trivia quiz with another act, Just Paul and John, answering Beatles questions. They listened to not even one second of a tune and were able to tell what song it came from. Quite remarkable. It didn't matter how obscure the tunes were, they still knew the answers. There were matinee shows and evening shows, all performed in the outstanding theatre, better equipped and more comfortable than any in the West End. Also available was Celebrity Central, a small 150-seat theatre, ideal for films and small-scale performances. The eating is very average for this class of ship without finesse and no fine dining. It is perhaps the one area that Celebrity needs to look at with Edge. Service overall is warm and attentive. However, the widespread upselling of drink packages and speciality dining, particularly during the first 48 hours of the cruise, can be somewhat off-putting for those seeking a relaxing cruise vacation. But none of the negatives is enough to deter us from taking another cruise on this fine ship. (Also see 4 December ON TOUR: US Eastern seaboard. "The cruise continues". We are looking forward to discovering Edge late next year. The Editor in Chief responds. Simon Calder of the Independent claims to pay for all his trips. Most journalists are supported one way or another. Even Ryanair now offers coffee at a press conference. Some hospitality can be accepted but a writer has to establish a balance as with criticism of Celebrity. Next week BTN having bought a ticket will fly on an airline whose relationship with the media is terse. We will report on the flight, as always, as we find it. I suggest it would be fair to declare whether trips by your reviewers were fully paid, partly paid or complimentary? For example. Malcolm’s trip to St. Helena was complimentary. Unless fully paid reviews cannot be said to be impartial.